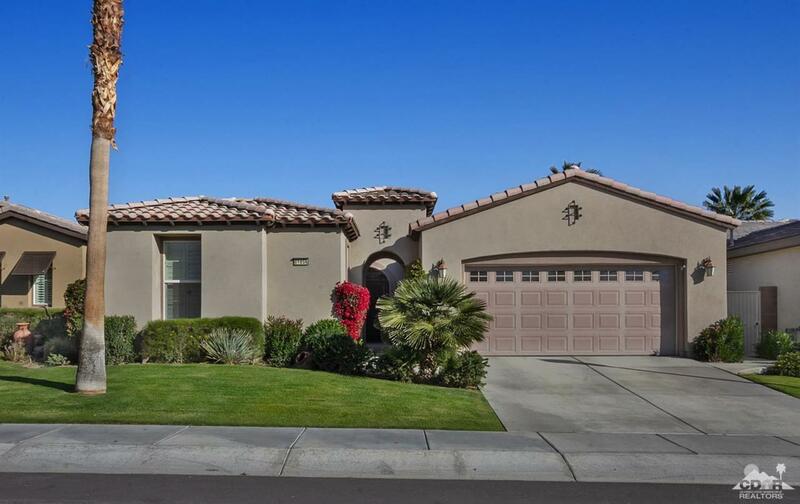 Offering the most popular floor plan...The Monterey with Casita...within the Active-Adult golf community of Trilogy La Quinta nestled at the base of the beautiful Santa Rosa Mountains. This open floor plan features 3 Bedrooms; 3 Bathrooms; Gourmet Kitchen with stainless steel appliances,granite slab counter-tops,island, and pantry; Great Room with fireplace and custom built-in entertainment center; Large Dining Area; Office which could be utilized as a den, formal dining room or additional bedroom; Laundry room with sink; A detached Casita with full bath; An over-sized double Garage; Private rear yard with firepit. Come enjoy the best of Desert living! Listing provided courtesy of Santa Sibley of Trilogy La Quinta Realty.